From blizzard white to absolute noir, Caesarstone quartz countertops come in more than 40 different hues. As one of the hardest and most abundant minerals on earth, quartz provides a strong, durable kitchen surface. The company manufactures slabs up to 120 inches for seamless countertops. Established near the old Roman town of Caesarea in 1987, Caesarstone provides lifetime warranties for all residential purchases. Retailers categorize Caesarstone as engineered stone rather than natural stone because of its manmade nature. Quartz is the second most abundant stone on the planet. Miners extract quartz from the earth in quarries around the world. At Caesarstone industrial plants, workers blend the stone with pigments and resins, resulting in a finished product that's 93 percent quartz. Factory workers pour the mixture into molds, compact the material and cure the slabs at 90 degrees Celsius. Machines finish perfecting the countertops by polishing or honing the slabs, and quality-control inspectors examine each slab to ensure consistency and quality. 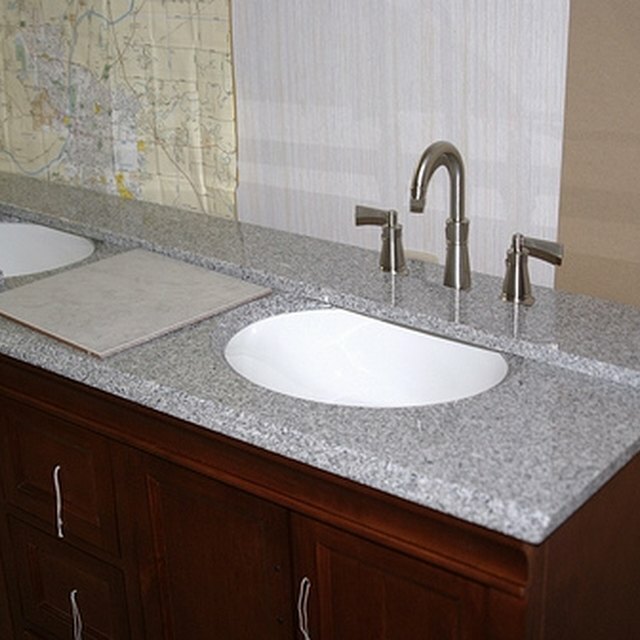 Unlike granite, engineered stone countertops require no sealing. Caesarstone resists scratches and stains, and the surface offers more flexural strength than granite. As a nonporous material, Caesarstone defies mold and mildew. Because engineered quartz offers more consistency than natural stone, you can count on an exact color match for your design motif. You needn't visit a stone yard to select the right countertop because the sample will match the finished product. Though Caesarstone offers optimal resilience, granite provides more impact resistance than engineered quartz, according to Consumer Reports. Square edge profiles may chip easily, though fabricators can repair the damage. Because engineered quartz takes substantial energy to transport, the shipping process generates air pollution. Though Caesarstone offers eight recycled designs, the recycled countertops contain only 17 to 35 percent recycled glass. Designers appreciate the color consistency of engineered quartz, but some homeowners prefer the depth and random appearance of natural stone. Though the surface stands up to knives and sharp objects, the company advises consumers to use cutting boards. Use non-abrasive cleaners to clean the surface, and always place trivets under hot cookware and crock-pots. Pots and pans hotter than 300 degrees Fahrenheit may crack the surface. Avoid using strong solvents near Caesarstone, including oven cleaners, paint removers and oily products. Jill Arens has been a journalist since 2007. She brings expertise in legal topics, drawing on years of work in the court system. Arens received her Bachelor of Science in communications and psychology and was honored by her college with the Outstanding Student in Communications Award. What Is the Difference Between Prefabricated Granite & Granite? Is Travertine Tile Good for Flooring?